On March 21, 2014, South Korea’s latest architectural icon, Dongdaemun Design Plaza (DDP), officially opened in Seoul, the capital city. Designed by the renowned architect Zaha Hadid, DDP is part of the world’s design infrastructure. It is a multipurpose cultural centre aiming at sharing and enjoying the value of design, and serving as an open platform to facilitate communication with the world, based on Korea’s creativity, culture and unique design sensibilities. Located in the 600-year-old Dongdaemun district, the hub of South Korea’s fashion industry, the 86,574 sq m building is made up of five spaces which can hold international conferences, festivals, presentations of new products, fashion shows and various other events and serve as venues for business, shopping and relaxation. The five spaces are: the Art Hall, the Museum, the Design Lab, the Design Market and the Dongdaemun History and Culture Park. At first glance DDP does not seem very tall, being just four stories above the ground. However, appearances are deceiving as the building has three underground levels. These seven levels, plus the building’s futuristic fluid lines, give DDP the distinction of being the world’s largest free-form building. Samsung C&T was the general contractor of the DDP project and from the beginning, they faced a host of challenges because of the tight deadlines and budget. The construction process, which lasted four years and eight months, was not easy. During it, Samsung C&T saw that the irregularly shaped building could not be created using 2D technology. Eventually, the company decided to deploy BIM technology to complete this project. DDP is the first building where Samsung C&T uses BIM for every aspect, ranging from civil groundwork and architecture structuring, MEP (mechanical, electrical, and plumbing) design to interior finishing and landscaping. 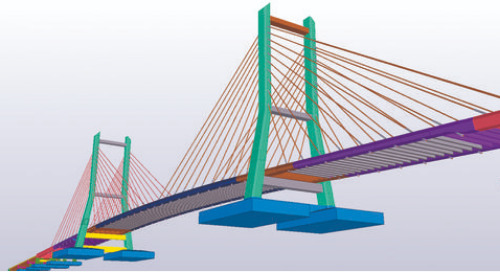 While BIM made it easier to design the models, there were still challenges. Specifically, the data from the design models and the construction drawings did not match up in many areas such as the location of members of the framework and the steel detailing connection. “We received 2D steel drawings and 3D external panel design models but immediately, we found that the information between them was different. 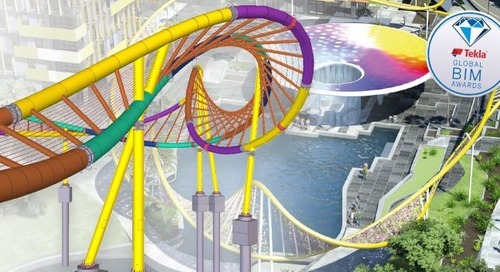 This happened because we did not use BIM in the design phase and we worked on the 2D drawings and the 3D modelling separately,” said Inbum Beak, the cost engineer of Sam sung C&T for DDP project. This caused problems because the data was inconsistent. To fix this, Samsung C&T turned to Tekla. 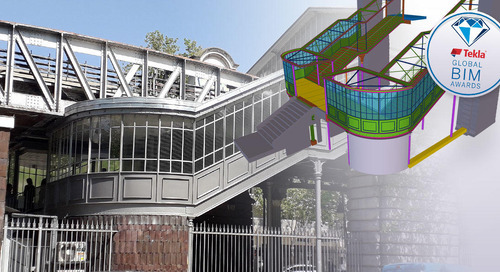 The company used Tekla to resolve the discrepancy between the 2D drawings and 3D design models. They used Tekla to completely create the 3D construction models to compare the information between the 2D drawings and 3D design models. Everything was matched in just three months and there were virtually no errors. 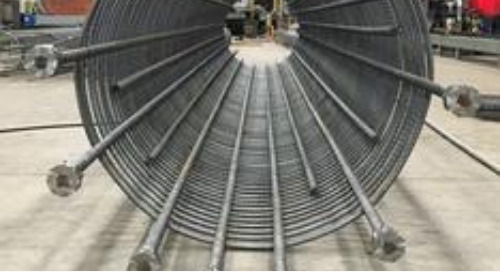 DDP is pillar-free internally and as a result, the unique, wavy, free-form roof had to be supported using what is known as mega-truss technology. Tekla ensured that this roof could actually be constructed and supported. 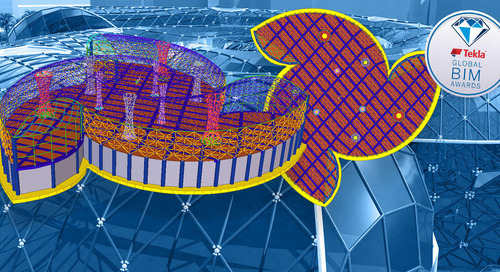 Furthermore, Samsung C&T ensured DDP’s constructability with Tekla, which they utilized for coordination of steel members and clash checking between steel structures and external panels. They planned crane operation for lifting with the Tekla model, and this saved them time and money. Tekla was also essential in ensuring that the exterior of the building came together properly, no easy task as it consists of 45,133 irregularly shaped exterior panels. While Tekla was vital at the design stage, it was also heavily used later in the process. “Without Tekla, we would not have been able to fabricate any members of this building at all. 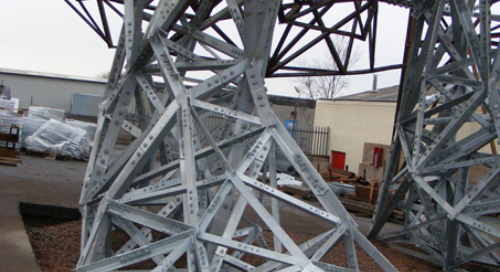 Tekla Structures enabled us to extract all the detailed information needed for production planning such as bending and welding, and the splice point of members of free curved shapes. 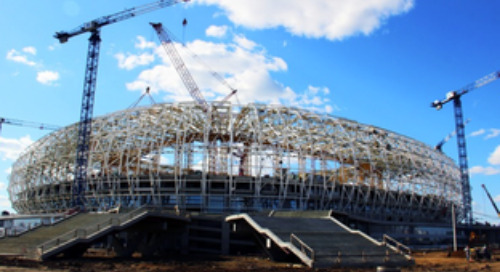 By calculating the exact radii values, Tekla helped fabricate all the steel members of the roof quickly and cost efficiently,“ said Inbum Baek, DDP’s cost engineer. And because Tekla is much more than a 3D design software solution, Samsung C&T could easily extract all the information needed such as the Bill Of Materials for fabrication. 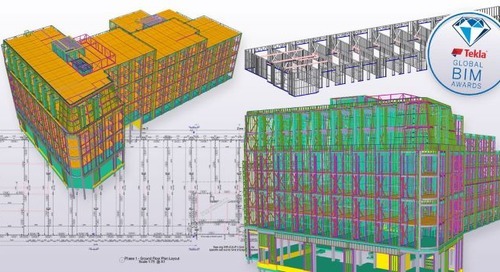 Said Mr Baek: “Tekla Structures allowed us to place orders for building materials and deliver them on time for fabrication.” In addition, they used Tekla to extract accurate design and erection drawings. Summarising, Mr Baek said that Tekla made a tremendous difference to this architecturally challenging project. “Without Tekla, the DDP project could not have been built on time and on budget,” said Mr Baek. Today, DDP is the pride of Seoul as it gleams like a newly polished jewel set in one of the world’s most historic cities. And this was made possible because of Tekla.